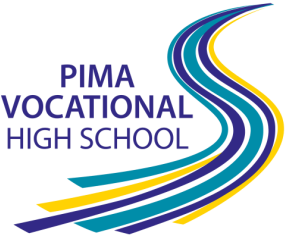 Pima Vocational High School student interns are responsible, hard working young people who have each completed at least 32 hours of employment skills training. Interns are assigned work placement experiences with our Pima County and community partners. Student interns work 1-4 hours per day for six weeks, assisting employers with every day tasks and learning valuable real world work skills. Interested in learning more? Find out more about our Vocational Program here, or learn about becoming a mentor in the Mentor Packet, or contact a Youth Specialist for more information. Where have PVHS interns worked? “I believe that all young people are capable of being productive members of our society. By devoting my time to mentor students, I am enhancing their opportunities to be successful in life. By exposing our interns to the nature of the work that our Public Works Departments perform, I engage them in thinking about potential professions that provide infrastructure, public safety and quality of life. Mentoring has been mutually beneficial. The student interns learn job skills while providing helpful assistance in our office. I am proud to say that long-term relationships with the interns have been established and I gain personal satisfaction observing them develop professional skills and mature attitudes. Click here to read more work placement testimonials.